Horst Excavating provides a peek inside! Spring is just around the corner, and with it will come an increase in activity level and the resurgence of outdoor sports for many families. When you attend your child’s soccer game, you likely don’t put much thought into the process by which that field was prepared for play. But as an excavation contractor, I can assure you that those of us here at Horst are probably pondering how much drainage pipe is underneath or what type of padding has been placed below the turf. We thought we would take this opportunity to give you an insider’s peek at the site work involved with preparing athletic fields and facilities. 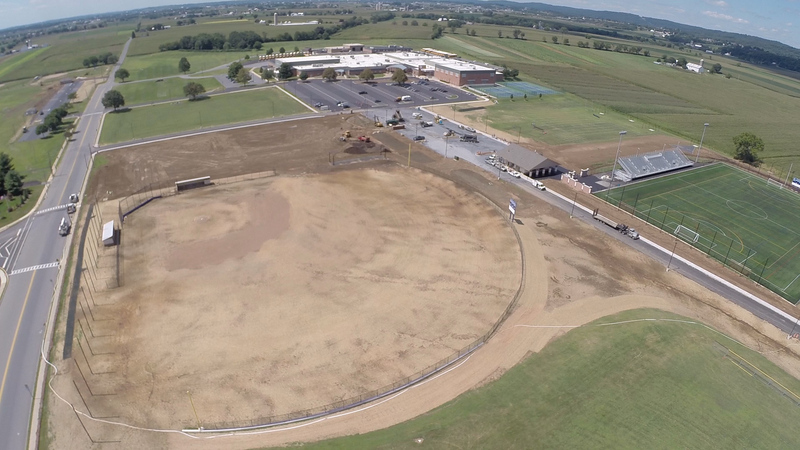 Over the past five years, Horst Excavating has completed seven athletic fields projects throughout the state of Pennsylvania. While each project has its own intricacies and distinct differences in design, methodology, and materials, there are also some commonalities that run throughout projects of this type. Scheduling – most, if not all projects of this type must be meticulously scheduled to meet critical deadlines set by the school or association. Many times, the project must take place during a tight time-frame to be prepared by the start of the season – often in 90-120 days. 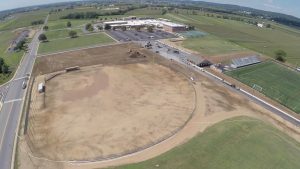 Bulk Excavation and Grading – the space needed for the field and spectator area must be completely excavated and graded with painstaking attention to detail. The type of equipment used is generally low-grade pressure or smaller equipment. Precision is key. 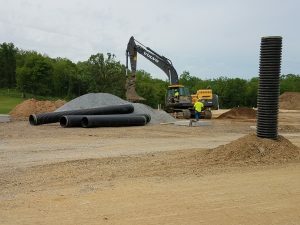 Drainage – the field must be set up with appropriate trench drains, and often have thousands of feet of drainage pipe zig-zagging under the layers of stone, padding, and turf. Stone Base – few people realize that a stone base is laid in place under the field, with soil graded and padding applied atop the rock prior to turf being laid. This stone must be laid perfectly with the help of lasers or GPS technology – there is no available tolerance for variances. Even something like the designated size of stone to be used can have a substantial impact on how flat you are able to get the surface and the grading precision capabilities. To learn more about how Horst Excavating can help you with your athletic field or facility project, please contact us.